Often the death of someone we know — close or otherwise — sparks a need in us to think about our own mortality. Part of that is recognizing the need to plan what should happen if we become gravely ill or die. It’s unfair to our families to leave that burden to them, guessing what we might have wanted. 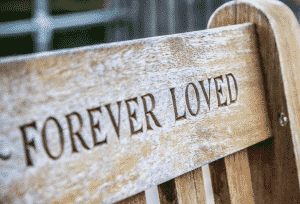 Preplanning your funeral to whatever extent you’re comfortable, plus putting an advance health care directive in place, is a critical part of providing a clear plan for your survivors. Type of service and location: Do you want to be buried in your church’s cemetery? Do you want to be cremated and have your ashes scattered somewhere that’s special to you? Consider what should happen to your body following your death. Who should be invited: Would you prefer a small, private ceremony or a public gathering? Are there old friends that your children or other family members might not be aware of or have contact information for? Who should facilitate and speak at your funeral or memorial service: Do you have an officiant in mind? Is there a friend or family member you’d like to deliver your eulogy? If including or not including particular people is important to you, noting it in a funeral preplan is helpful. Clothing or jewelry you’d like to be buried in: If you want to buried, are there any items you’d like to be buried with? A favorite photo or keepsake? Is there a military uniform or other special article of clothing you want to ensure is used? Special music or readings: Do you want a certain song played or poem read at your memorial service? Memorial fund: In lieu of flowers, would you like mourners to donate funds to a favorite charity? Often a family will ask that donations be made to the hospice group that cared for the deceased, or to a group or association they worked with in their lifetime. If you have a cause or group that you’d like to see receive any donations, note it in your plan. Your obituary: Select a photograph you’d like included with your obituary, and record your full name, date and place of birth and details about your education and employment. Memorial messages: Memorial letters or videos allow you to pass on a message to loved ones after you’ve passed away. To find a funeral home, you may want to ask friends and neighbors what their experience has been with local service providers. You can also find an extensive list of funeral homes on the National Directory of Mortician’s database.